Freezing cold temperatures, overpriced parties, a slew of tourists and insanely priced taxis - we decided to escape New Year's Eve in New York City for a relaxing vacation in Turks & Caicos! 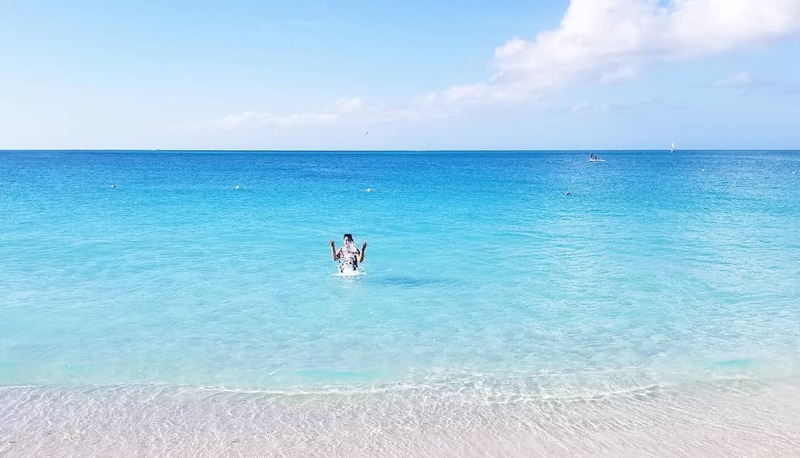 We were looking for relaxation, beautiful beaches and great food - Turks and Caicos met every expectation and then some. Turks & Caicos is known for its luxurious hotels, beautiful beaches and celebrity visitors/residents. Turks & Caicos is actually a group of 40 islands that comprise this paradise. We highly recommend staying on Providenciales, which is the biggest island and most developed. The islands of Turks & Caicos are all fairly small and you can get around easily via taxi or car rental. There are a limited amount of resorts so booking for New Year's should be done well in advance to avoid high room rates (in the thousands) and no availability. If you have $50K+ to spare for five days we recommend renting a luxury villa on Airbnb or Triton Luxury Villa (take us). Pros: Your own quiet space on the beach and pool. For those that are ringing in the New Year with their friends and/or significant others we highly recommend the Adult-Only Club Med Turkoise. The hotel is all-inclusive and features a stunning pool overlooking the beach. Pros: Stunning Pool, Less crowd, Unlimited Drinks, Great Hotel Activities. Cons: Limited food options - only two restaurants on property - One a beach cafe and one a buffet. For those that are celebrating the New Year with their family, we highly recommend Beaches Resorts by Sandals. The resort is stunning and huge! You will feel like your at the Epcot center with the different themed areas. This massive all-inclusive resort has ten pools, a variety of restaurants to choose from, a water park and endless activities! Pros: Excellent activities for both adults and kids, excellent food with a variety of different cuisines, adult-only jacuzzis for a break from the kids. Cons: Too much to do on the resort that you will never want to leave the property! If you are a spontaneous traveler and like to book last minute, The Lodgings Hotel would be your best bet to avoid the high hotel rates at this time of year. The hotel has been recently renovated and has comfortable clean rooms. Pros: Very low room rates. Restaurant on site that has great food. Cons: Fifteen minute drive to Grace Bay area - you will need to rent a car. Close to the airport so you will hear flights coming in and out occasionally. Turks and Caicos is known for their stunning beaches. Grace Bay has been awarded the rank of #1 beach in the world. Relaxing and basking in the sun is one of the main activities when visiting Turks & Caicos. You can literally spend hours swimming in the crystal clear water that has the softest sand we have ever felt. Once you get bored of relaxing, we recommend taking a Dream Day Getaway Tour from Caicos Dream Tours. This tour will take you on a snorkeling adventure and a visit to several islands - including Iguana Island, which is as the name implies full of Iguanas! There are hundreds of Iguanas running around on this tiny island! If you still are looking for more to do, go shopping in the Grace Bay area. You can also take a drive to Prince's former mansion which features a purple driveway! In Turks & Caicos you can count on relaxation AND amazing food! From Italian to Indian cuisine - there is a plethora of great dining experiences. If you are staying at an all inclusive like Beaches Resorts by Sandals, we highly recommend exploring all the great dining options on site. If you want a change of scenery we highly recommend venturing out of your resort and checking out Bugaloos. 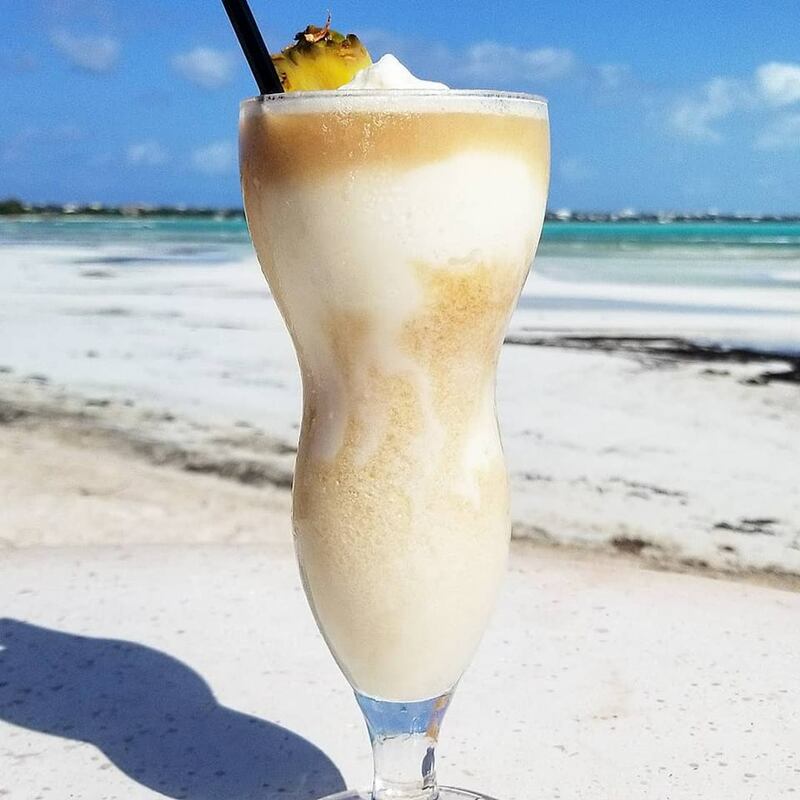 This beachside restaurant serves the freshest and best Conch Salad on the island - they also have an incredible Pina Colada that we couldn't get enough of! This place gets packed on the weekends so make sure to visit early! For a fine dining experience Coyaba and Coco Bistro are top rated but you must make a reservation at least a month in advance. With so many restaurants in the Grace Bay area - you will find plenty of options to please every palette! Turks & Caicos has some of the most beautiful beaches in the world- it is the perfect place for singles, couples and families. The beauty of the islands are that they are not very developed. If you are visiting from places other than New York City- the prices for hotels and food are fairly expensive. Getting around by taxi can be very expensive as they charge fares per person versus per ride- we recommend renting a car if you want to explore. If you stay on any other island then Providenciales grocery stores are scarce as well as restaurants. The island is safe however theft is abundant so much so that car rental companies advise you to leave your car doors unlocked and do not leave any valuables in your car. If you end up staying at a smaller resort you have the option of visiting bigger resorts like Club Med Turkoise or Beaches Resorts by Sandals for a fee which will include full access to all their amenities and food/beverage for the day- call for their current rates. If you decide to ring in the New Year in Turks & Caicos - you are in for a real treat as the island surely knows how to party! A majority of the big resorts have a New Year's Eve party. Club Med Turkoise celebrates in a big way with fireworks and a grand theatrical show. Ricky's on the Beach is the site for a huge party which many locals attend. If you don't want to shell out a ton of cash for high entrance fees or beverages - you can celebrate on the beach where the island has an extensive fireworks show at midnight.